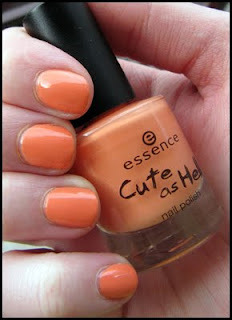 NOTD: Essence Bad Girl (Cute as Hell) - Cherry Colors - Cosmetics Heaven! Today my manicure is orange. 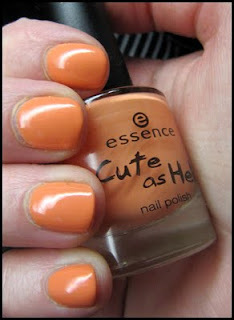 And it's more orange than it is in the bottle, plus for some reason it looks kinda neon on my fingers. The apply was not problematic. It went on nice and smooth, the easiest of all three I tried out. But I don't think it really suits me =). How do you like the orange color?